Hemp seeds – the nutritionally richest seeds from our land! It is surprising that such tiny and inconspicuous seeds hide within themselves such tremendous might. In only one summer they grow to become tall hemp plants which fight pests and weeds on their own. Strength, wellness, and vitality – these are the gifts of hemp fields to us! We offer hemp seeds in many different forms – raw, hulled, as oil, and as protein powder. Our products differ in their nutrient combination, texture, taste, and use. However, all of them are great. The choice is in your hands. 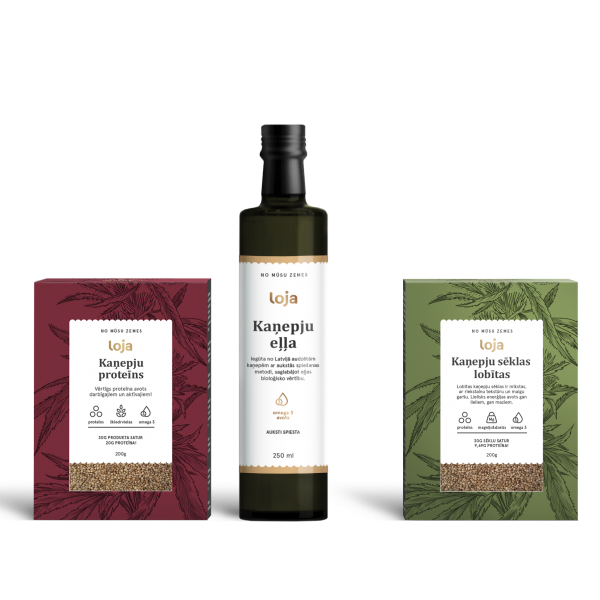 See for yourself that hemp is an essential part of the taste of modern Latvia!